Following the completion of a £20 million redevelopment, St Mellion International Resort is set to stage the region’s leading business event and provide a much-needed boost for the local economy. The Business Needs & Support Exhibition is being held at St Mellion on Wednesday July 1. Carleen Kelemen, director of the Convergence Partnership in Cornwall, will be this year’s keynote speaker. 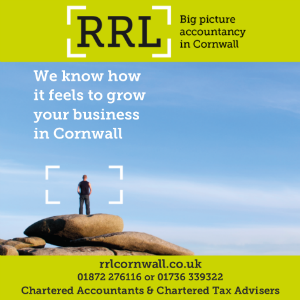 She will be joined by other notable members of the regional business community – including Fifteen Cornwall’s chief executive David Meneer and HSBC’s Senior Economist Mark Berrisford-Smith – who will also be delivering educational seminars throughout the day. Now in its third year, the free-entry event attracts hundreds of visitors and a large number of businesses and organisations from across the region taking the opportunity to exhibit at the event. This year interest and participation is expected to be even higher with many individuals and companies looking for the advice, guidance and support that will help them through the ongoing credit crunch. The resort’s business development manager, Regan Bailey, who is organising the event, said that feedback from the previous two exhibitions suggested that the range of exhibitors was at the heart of its success. The exhibition will also be used to officially launch St Mellion’s conference, meetings and event facilities. The Mayor of Saltash, Councillor Sue Hooper, and Carleen Kelemen will officially cut the ribbon at 10am after a special networking breakfast that takes place between 7am and 10am. For more information and to register, click here or call Regan Bailey on 01579 352047.